Happy Easter! With it being Easter weekend I just wanted to take a minute and write about all that Easter entails for me. What is Easter? Easter is so many things it's a time when we can reflect on the crucifixion of Christ and how even after those dark and despairing times he rose on that beautiful Sunday morning, it's the sun after the rain, it's the hope that comes shining through on the darkest moments, all because one man was willing to give his life for each and every one of us. The darkness and sadness of the death of christ did not endure. Sunday came and so did the sun and hope of his Ressurection. We will all have our broken and dark times but that bright triumphant day when we will rise will come. This year of school for me was definitely one of the hardest years in a long time. There was a lot of ups but there was also a lot of downs and a lot of tears shed. However, one song has through all of it kept me faithfully waiting for the sun to shine and for it to be my time to triumph. Below is the song so that you can listen to it and I strongly encourage you to. "When I'm alone I can fall to my knees and I know he will always be there, He is always up there looking down, and he knows me and he loves me just how I am" There has been so much heartache for me this year but I can honestly say I have never felt alone because I have had my father in Heaven holding my hand every step of the way. He is always up there watching over me. I know that there were times I was stubborn and reluctant to grab hold of his hand because I wanted to try to be strong by myself but he just kept walking alongside of me until I was ready to let him carry me. Christ suffered in more ways than I could ever imagine and he had to go through more pain and had to endure the unthinkable and he did all of that just for me! 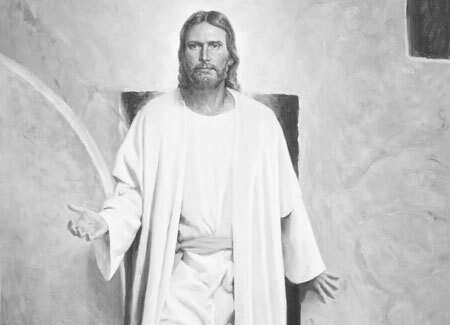 Christ is Risen so that through all of my faults and heartache he can be right next to me leading me along. He has felt every emotion and every hardship I will ever go through in this lifetime. He gave his whole life so that one day I can return to him. To him I owe each breath that I breathe. 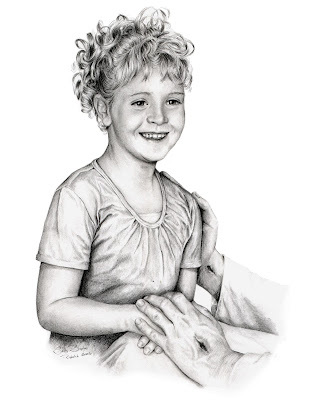 Dallin H. Oaks stated," Our Savior's Atonement does more than assure us of immortality by a universal resurrection and gave us the opportunity to be cleansed from sin, His atonement also provides the opportunity to call upon him who has experienced all of our mortal infirmities to give us the strength to bear the burdens of mortality." Through all of the hard times Christ gave me the strength to continue on and it is only through faith and obedience that he will be able to lead us to our happily ever after. I read a quote and it really stuck out to me, "When a train goes through a tunnel, and it gets dark, you dont throw away the ticket and jump off. You sit still and trust the engineer." When our life goes through a dark spot or a hardship we shouldn't just say well, might as well do whatever I want cause it doesn't matter there is no hope, we should wait and continue faithfully in obedience and trust because after the dark spot is over is when Heavenly Father shows us all the blessings he was waiting to give us.We just had to stay on the ride long enough to receive them. Through all of the darkness and tears that I have felt, he has continued to raise me up and he has continued to bless me over and over even when I feel I don't deserve it. I have been able to grow and learn. I have been able to go through things that I never imagined I would have to go through this year and somehow through it all I have been able to see my strengths and weaknesses and I have seen all of the ways the lord touches my life and gives me the strength that I need to continue on this journey to be able to reach the blessings and his embrace at the end of the road. I have learned more about myself and the things that I truly want out of life and the person that I want to become because of the things that I have had to endure. I have been able to rise even when I thought it would be impossible and all because the lord is risen, and walks along side of me. I have learned how much the friends I have in my life mean to me and how much I am thankful that they are there for me whenever I need them. I Love my Heavenly Father and I love my Savior and Redeemer Jesus Christ. I am not perfect in any way and I know that there are a lot of people out there that don't like the way I do things or live my life but Christ has never stopped encouraging me and he has always been willing to lead me along if I let him. He has never stopped cheering me on and I cannot ever put into words how much I truly love him and how much I grateful for him in my life! I cannot wait for the day that I can wrap my arms around him and just be in his presence. We all can rise over all of our hardships and foes because He Is Risen.Friday will end and Sunday will come. That sun will come, so continue on and grab hold of him because he is right there next to you. I remember well the day you left my side. I had a tear in my eye each time I clothed your spirit in a cloak of love and sent you off to school. Be assured that my thoughts are with you now, as always. I love you with all my heart. I know your life, the good and the bad, your grief, your disappointments, your unrewarded efforts, your frustrations and temptations, but always remember... all that I have is yours if you will only come home again. Realize that in you I placed a bit of heaven, no one was exempt, I love all of my children. You have some blessed gift, some talent, some small part of me in you. Search for it. Develop it. Use it and most importantly share it with others. If you really love me, then help others find themselves and lead them to me. Show your love by serving others. Repent of your failings and humble yourself. Make yourself ever teachable and continually strive to improve. I gave you weaknesses to help you to be humble; don't condemn me for that. I did it because I love you. Be full of hope; don't let discouragement engulf you. I'll come if you need me. Be a peacemaker for it breaks my heart to see so many of my children fighting. If they only could see what I have hoped, planned and desired for them. My heart breaks as I watch them, but you, my faithful child, are my hope. It is through you that my work must proceed. You haven't much time there is so much to be done. I beg you to get started. Accomplish the mission I gave you before you left me. I'll help you. I'm never to busy or too far away to come to you. I'm nearer to you always than you might suspect. I have so much I'd like to tell you but I can't here. Come to me often in prayer. I love to talk to you, my beloved child. Be diligent in my work and my kingdom shall be yours. I'd love to take you in my arms, but I too must wait patiently, that day will come. Till then, I leave you with my peace, my blessing my love, and never forget I am nearby if you need me. I love you and miss you so very much, and oh, how I am looking forward to your return again to me and your mother. May that always be our goal to return to our Father in Heaven and Jesus Christ. I know that they are always watching over us. They love each and every one of us and no one is exempt. They too just like us are waiting for the day we can be reunited and feel each others embrace. Love you all and Happy Easter Everyone!